Cats are considered as the most popular pet in the world. They have a close and long association with humans as it is believed that they have been living with humans for more than 10,000 years. We can find the evidences of cat existence in the ancient Egypt. Throughout their evolution, cats are always connected with several myths and legends. According to some of them, the appearance of the cats refer to the evil in the nearby areas, some of them say that cats are given nine lives, or even there is a concept that cats are capable of seeing the dead. Perhaps, these are all associated with some event at any particular time in the past, and don’t have anything to do with reality. You may not find the cats as affectionate as dogs, but they do show some attention to you at times. It is been a great experience having a cat as a pet. There are numerous varieties of cats and each of them possesses some distinct characteristics. Let us have a look on some of them. Several different species of cats and breeds are known as a domesticated cats or pet cats. As the association between the humans and cats increases, many different breeds of cats came into existence. It is probably because of the hybridization, country specific characteristics or selective breeding. About 70 different known species of cat breeds exist, out of which only 40 species are categorized as cat breed in the list. Cat families are normally classified into two types, i.e. long haired cats and short haired cats. The cats species found across the world have different color patterns, head shape, coat patterns, bobbed tails, ear folds, length of hair. Some of them are even tailless. To clarify the point, let us take an example of Calico cats or the tortoise shell and white cats, which are known tri-color cats. Because of their distinct color patter, these are not taken as a cat breed. Similarly, the Manx, Siamese, Turkish Van, American Shorthair, Persian and British Shorthair all these possess Calico coloration. 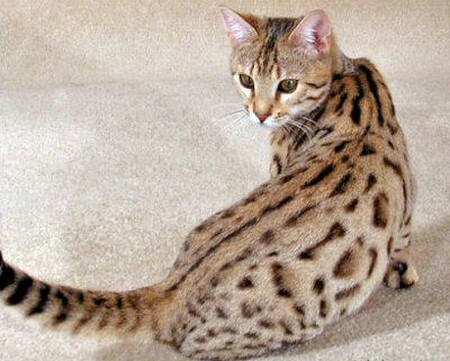 Tabby cats on the other hand, have specific dot, stripe and swirling pattern. Tabby cats generally have a characteristic ‘M’ pattern on their forehead. These types of cats make a separate breed of cats. 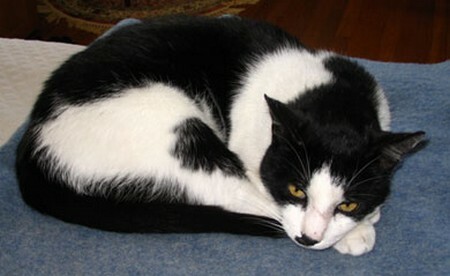 Like Turkish Van, tuxedo cats are also bicolor with coat pattern. These cats are very common in America. These cats have a tiger-like stripes and lines on their entire bodies. The important feature of these lines and stripes is that they are of bi or tricolor. Tabby cats come in a regular size. Persian cats are known for having huge amount of fur on their bodies. Persians cats usually have a face like pigs, where the nose is slightly crumpled up into the head. These cats are considered as the oldest breed of cats originated from the Mediterranean region of the ancient Egyptian times. Abyssinian cats are considered as good athlete with a sleeker body. These cats have fur which gives a shade of brown color. These are also very friendly cats. These cats have their origin in France. They are grayish in color with short hairs. These cats are good hunters and also very loyal. Technically speaking, these cats come under cat breed. Domestic shorthair is one of the popular domesticated cats in the United States. It is thought that these cats have been living in United States for more than hundred years. Perhaps, these cats came on the event of Mayflower with pilgrims. These can be found in any color. Originated from Southeast Asia, these cats are found in many different colors. 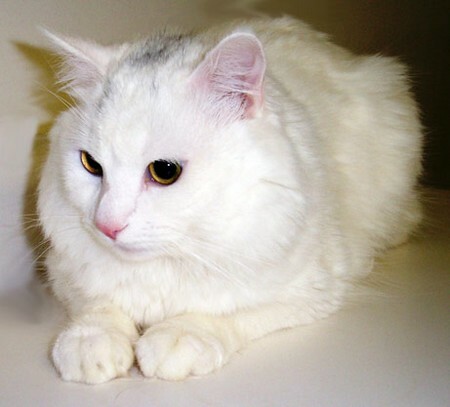 The most prominent are the cats with white fur and brown faces, ears and tails. These cats have long bodies with small head and are sleeker than other cats. Black cats as their name suggests have black fur. Black cats don’t possess blue eyes like most of the breeds. Black cats have always been associated with some sort of superstitions since the time of Middle Ages. However, we have not found any concrete evidences of their superstitious nature or that they are unlucky. Lions are the powerful and most popular type of cat. Most of the breeds of lions are found in Asia and Africa. However, there are evidences that lions were once lived in Europe, North America and South America before they became extinct there. Mane of male lion and their huge sizes are there prominent features. Tigers are quite sharp in their movements. These are usually found in orange or white fur having black stripes on it. Tigers use their fur for camouflage. Tigers are commonly found in Eastern and Southern Asia. Tigers’ existence is endangered by the greedy humans as they hunt tigers for their fur (pelt). Tigers are extremely dangerous for humans as they attack the humans and kill them in most of the cases. Jaguars is a type of wild cat that is found in yellow colors with black spots. However, there are black jaguars as well which are commonly known as Black Panthers. These are also large in size than normal cats. Jaguars are commonly found in the rain forests of United States; however, for recent few decades, they have been exterminated. Jaguars hunting method is quite unique as they hide themselves in the trees and jump over their prey from above. Jaguars have a large stockier body. They usually don’t attack the humans unless feel any danger. These are large wild cats commonly found in America. Puma or mountain lion are the other common name used for cougar cats. These are not dangerous for humans, but there are few incidents where they attacked small children. Cougars’ existence is endangered by rapidly increase population and human greed. These are small cats which are considered as the genetic predecessor to the existing house cats. These are slightly bigger in size than the domesticated cats. Wild cats are commonly found in Asia, Europe and Africa. They live on small rodents and other small animals. They don’t enjoy the company of humans and therefore avoid them in any case. Cheetahs inhabit in Africa and Middle East. Cheetahs are known for their fast speed and considered as the fastest animal on the earth as they can run at the speed of 75 miles per hour. If we compare them with jaguars or leopards, they are a bit taller and thinner than those. The only similarity between them is there spotted, yellow fur. Cheetah usually hunts small animals such as impala or gazelle. Among the two lists, former list has much more diversity than the latter one. This is so because domesticated cat breeds evolved in the past hundred years while the wild cat breeds has took thousands of years to develop. However, whatsoever the estimates, both the breeds belong to the similar genetic ancestors. The different cat breeds has shown some great properties of being resilient and strong in nature because they are successful to keep their existence intact despite of hunting, habitat destruction, or domestication.